How would property be divided in the event of a divorce? Would either party pay spousal support in the event of a divorce? If so, how much and for how long? 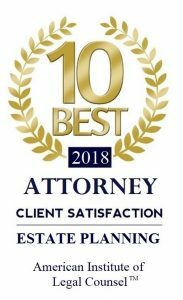 What changes can be made to either party’s estate planning documents? How will the inheritance rights of either party’s children be affected? What legal, spousal, and inheritance rights under the laws of Missouri will either party waive or not waive? Which parties will pay which debts? A prenuptial agreement can be tailored to your specific situation and can address more than (or just some of) the concepts listed above. Thus, the agreement can be very broad and all-encompassing, or it can be very narrow, addressing just one or two areas. When half of all marriages end in divorce, isn’t it just realistic and responsible to acknowledge the possibility of a future divorce? And if divorce is a possibility, wouldn’t it make sense to decide all financial issues in a levelheaded and fair manner before getting married? Isn’t this more logical than trying to decide these difficult issues later, when feelings are already hurt or parties may not be acting reasonably? By even thinking about a prenuptial agreement, aren’t the parties already planning for the marriage to fail? These are all difficult questions with no inherently right or wrong answers. A lot of smart, reasonable people disagree on these sorts of issues. Often, people who have been through a divorce (or have a friend or family member that has been through a dissolution of marriage), are more likely to be interested in a prenuptial agreement. Also, people with children from a previous relationship will often want to protect property or inheritance rights for those children through a prenuptial agreement before entering into a new marriage. Should You Be Considering a Prenuptial Agreement? So who should consider a prenuptial agreement? If you are getting ready to marry and answer “yes” to any of the following questions, then you may want to consider speaking with an attorney about a prenuptial agreement. Do you own significant assets? Do you own your own business or shares of a business? Do you have significantly more assets than your soon-to-be spouse? Is there a significant age difference between you and your future spouse? Do you have loved ones that you are taking care of, such as elderly parents or disabled children? Do you want to leave property you acquire in the future to your children, rather than your new spouse, in the event of your death? A common myth about prenuptial agreements is that they are only for the wealthy. While it may be true that wealthier individuals are more likely to think about these matters, people with modest estates can also benefit from prenuptial agreements. Please keep in mind that one attorney does not typically assist both parties involved in a prenuptial agreement. Usually one attorney prepares the document at the direction of one party, and the other party may seek their own independent legal advice (but does not necessarily have to). Ideally, both parties will be represented by their own independent counsel to ensure that the agreement is fair and that both parties understand their rights and obligations. We recommend setting up a consultation with the Piatchek Law Firm to ask questions about prenuptial agreements and discuss potential arrangements. We pride ourselves on being knowledgeable and tactful regarding these sensitive matters. We can help you from the very beginning stages, when you’re merely asking questions, all the way through to the negotiation, creation, and signing of the agreement. If you have any questions or you want to set up an appointment, please call us at 417-882-5858 to get started.